If you are searching the residential electrical contractors serving homeowners in the Sudbury, Massachusetts, area, you will be hard-pressed to find one that offers the combination of experience and service that is provided by VMA Electric. Since 2008, we’ve been helping area residents with all of their electrical needs, providing custom installations, repairs, upgrades, and much more. Our licensed electricians have an average of 10-12 years on the job and are dedicated to doing the job right the first time. What’s more, our commitment to meeting our customers’ needs has helped us maintain an A+ rating with the Better Business Bureau for many years. No job is too large or too small for VMA Electric. We specialize in custom projects and can make sure that your new home automation, security, or alarm system is installed with precision. 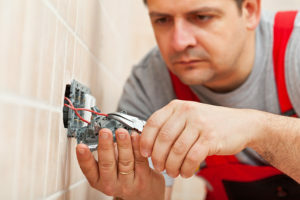 We also provide electrical inspections, circuit panel replacement, new construction wiring, and more. To give our customers added comfort, we guarantee our work for one year from the date of service. And, if you want to ensure that your home is prepared for a power outage, we can install a whole-house backup generator that will kick in immediately when the power goes off so your family can continue to enjoy all the comforts of home. Put your trust in residential electrical contractors you can count on and call VMA Electric today. We’ll be happy to provide a no-obligation consultation at your home in the Sudbury, MA, area and answer any questions you have.